Coal Bed Methane (CBM) is absorbed into the fissures within un-mined coal seams and is the “firedamp” that threatened miners when extracting coal. The UK coal field is well known as a “gassy” coal – in other words there is an average of 9 cubic meters of methane per tonne of coal which varies by depth in the virgin coal seams underground. 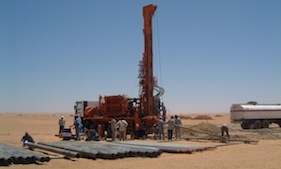 Any CBM project requires the extraction of coal bed methane from the coal seam, the separation of the gas from the water, the treatment and disposal of the water, the processing, cleaning and compression of the gas at the well head, the route to market and the sale to the end-users. 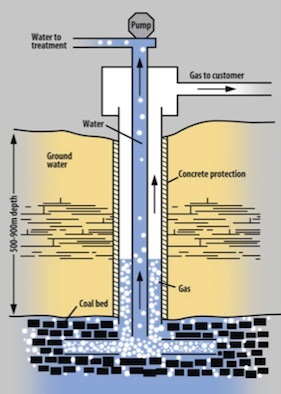 Releasing the water pressure in the coal seam releases the methane gas and there are well tried enhanced drilling techniques that will increase the recovery rate of the gas.